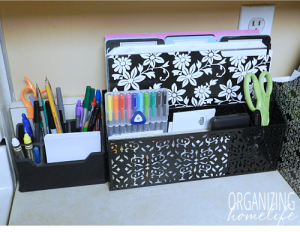 $50 Clever Container Organizing Products Giveaway! 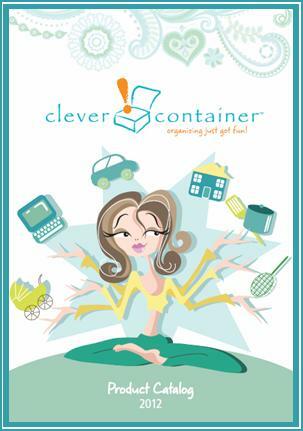 Have you heard of Clever Container? 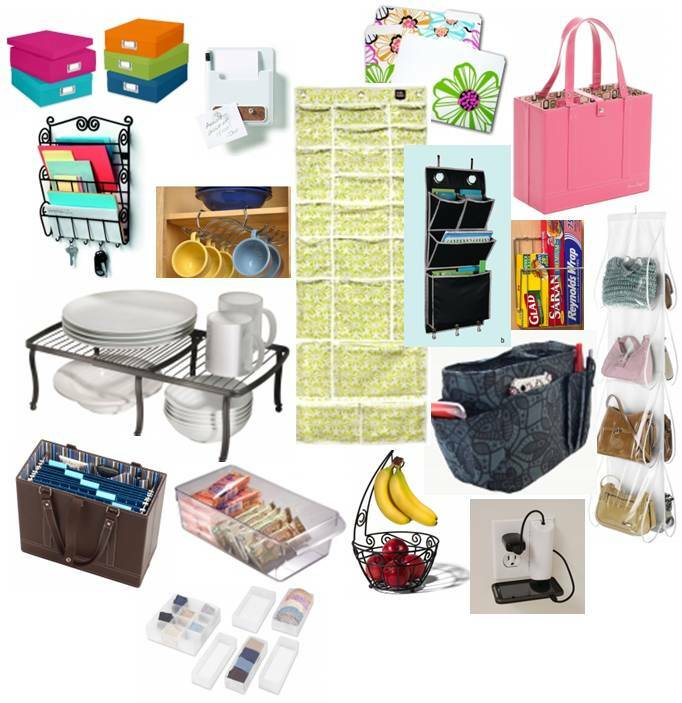 They sell some of the most fantastic products to help you organize all aspects of your home! Their products are functional, stylish and Oh. So. Practical! Are you looking to straighten up and de-clutter your closets or pantry? Do you want to streamline your home office? How about keeping your makeup together in one handy spot with a place for everything? Do you wish your drawers were tidy? Clever Container has a product for that! 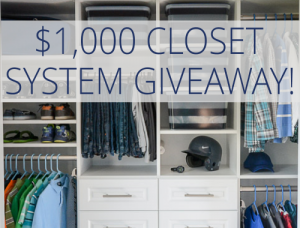 I was so thrilled when Tracy, one of Clever Container’s fantastic consultants, contacted me about hosting a giveaway. 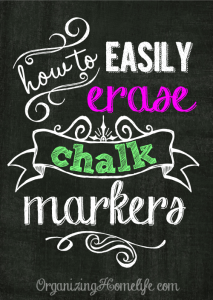 I had been on their site in the past and found some GREAT products. 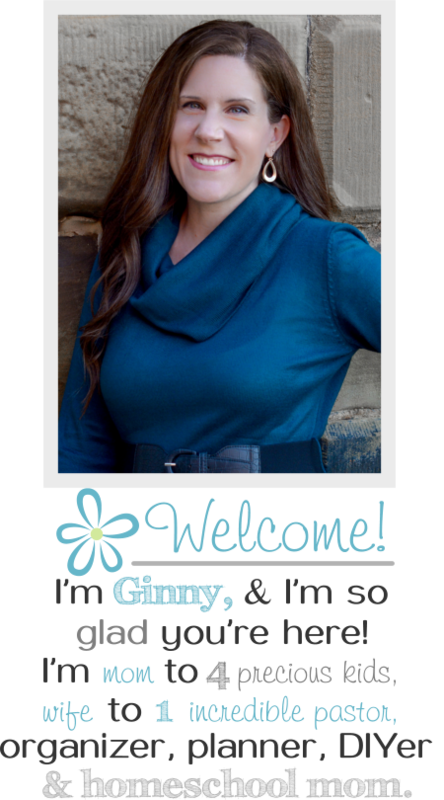 And now, I am so excited to offer YOU a chance to win some fabulous products, too! You have an opportunity to WIN $50 towards any products of your choice!! Did you find a product you just can’t wait to own? Have no fear! You can order directly from Tracy! Click here for her product ordering page. Winner receives $50 in merchandise credit. Giveaway begins Saturday, March 3, 2012, and ends at midnight eastern time, Saturday, March 17, 2012. 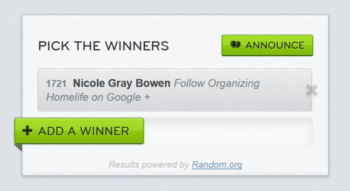 Winner will be e-mailed and announced here on Sunday, March 18, 2012. Winner has 7 days to respond to e-mail. Sign in with your Facebook account, or enter your name and e-mail address (they won’t spam you – it’s used so I can contact you if you win). I reallllllly need help to organize my home and these containers look great!!! I had a very hard time selecting just one favorite. I loved the office and kitchen assesories. I so see I need more organization in my life. I love the Bin Pulls! What a clever idea for the pantry. I love the mail/key organizer! So hard to pick just one! 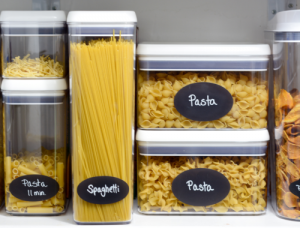 I do love the Bin Pulls and can see using them in our pantry or the fridge or….so many ideas! I love the I DID MY CHORES. We need this in my house. How neat! 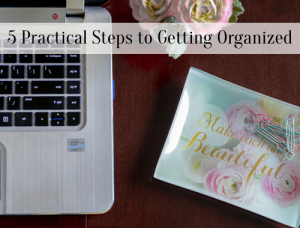 I am always interested in way to be more organized! It all looks terrific……don’t know where to start !!! I like the 3-Drawer Vanity! So cool. i like the corner shelf! I just love the toy hammock! I think the Cargo Tote looks like it would work great. I love the folding step stools! Also anything created for the laundry room would be a great help in my house! I need that mail organizing center. Very cute! I soooo need the cargo tote! I always have heads of lettuce rolling around in back! Love the over-the-door towel bars for the kitchen. Any of her bags!!!! I’m forever hauling around a recycle grocery bag as a diaper bag because Uncle Dave won’t let me buy a new one :((((( Great giveaway!!!! bin pull fridge with dividers is my favorite! I love the black scroll fruit bowl. It would get all the fruit laying on my table in one place! I love the Clever Buckets! I really need to get organized…and this would really help! Thanks! So many things that I would love to have. The Magnetic Message Central would be great to have hanging in my kitchen. I just checked the catalog and oh my goodness, so many wonderful things!! I’m a work in progress and am trying the get organized and all of those items would help! The hanging file folder bag interests me greatly! There are sooo many great ideas I just can’t decide which is my favorite!!!!!! Oh! I would LOVE to have the Sophisticated File Tote in Pink! LOVE LOVE LOVE it!! Oh My Gosh!! I am in love with everything on this site, thanks for sharing! Definately purchasing even if I don’t win! I am always looking for ideas to organize. Would be great to win some of these awesome products! I love the pretty Corner Shelf for kitchen cabinets. What a giveaway! I want everything on her site if I can buy it in $50…jk :)) I would love to buy some closet organizers. I would love the wire baskets for my pantry. love the handbag organizer in black!! 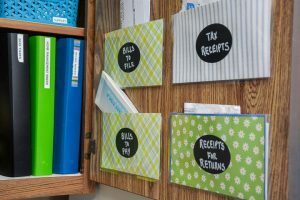 I love the curved shelf organizers! I LOVE the Black Scroll Fruit Bowl on this site! I’ve been trying to find something like this for awhile! Would love to get more organized – especially our playroom! I ♥ the Bin Pulls! I could organize the inventory for my business, my fridge, scrapbook supplies -endless possibilities!! And that cargo pocket I so NEED it for my suburban. 🙂 What an awesome catalog. Fabulous organzing things just in time for Spring! love it! I like the bin pulls. so handy! I’ve never heard of this company before. Genius idea!! I love most of the products but I think I can’t live without six of them!! I love the sophisticated file tote and the document boxes…and the colorful step stools….and the shoppers delight spring fling bags….I could go on and on!! Although all their products are great, my favourite is definitely the backseat entertainment caddy.. so great for all the kids stuff! I’ve seen CCC catalog before but have never studied it in detail. There are a LOT of products I am pretty certain I could put to good use! I am especially loving all the “Bin” items for the kitchen, the fruit basket, and the lazy Susan (“Vanity Spinner”). My kitchen especially needs help and all these would be great! I love the file-organizer tote! Love, love, love the scarf and tie hangers! We have been working on organizing the closet with space saver hangers and this would be a great next step! I love your blog & give aways!!!! Thanks for all the wonderful ideas! Too much to love! If I had to pick one, I guess it would be the car organizers, any one of them! Oh! And your site ROCKS!!! I love organizing! Thanks for the chance to win. WOW they have some Really cool items! I love your blog! Honestly, I didn’t see anything in the entire catalog that I wouldn’t want or use. I have one of their automobile cargo trays and it’s great. I really like the locker room basket and Electroman. I hope I get a tax refund. I see some shopping in my future. I LOVE the Wrap It Up organizer. This apartment has horrible storage and wrapping paper is one of my biggest peeves. There are plenty of other things though, what a fabulous site! I have such a tiny place that it’s been impossible to stay organized but I’m working on it. They offer so many things I could use! 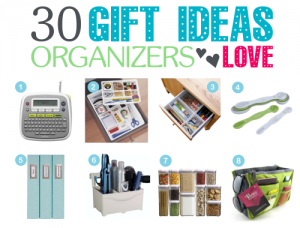 I guess I’d start with bins, drawer & closet organizers. My absolute favorite product was probably the file tote. So cute & practical for someone in sales! There were so many things that I could use, it was hard to pick just one. I’ve been looking for a mail organizer though and I love the black metal one. I really liked the Chrome Plastic Bag Recycler and Cabinet Cubby for the bathroom! My daughter needs the Flip Flop File. So many great ideas! I am drooling over all of the cute stuff at Clever container. I would love to win so I can get the Sophisticated File Tote! 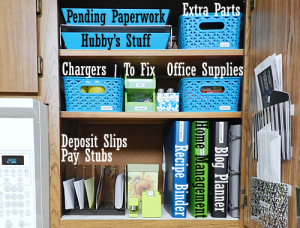 I love these new organizing tools! My favorite product is the Clever Pockets. I like them because they come in a variety of designs and they can be used for various items because of their pocket sizes. I would love to use this for crafts in my dorm! I’m in love with everything in the catalog!